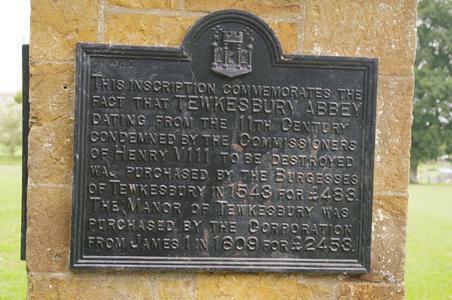 In public park south of Tewkesbury Abbey. 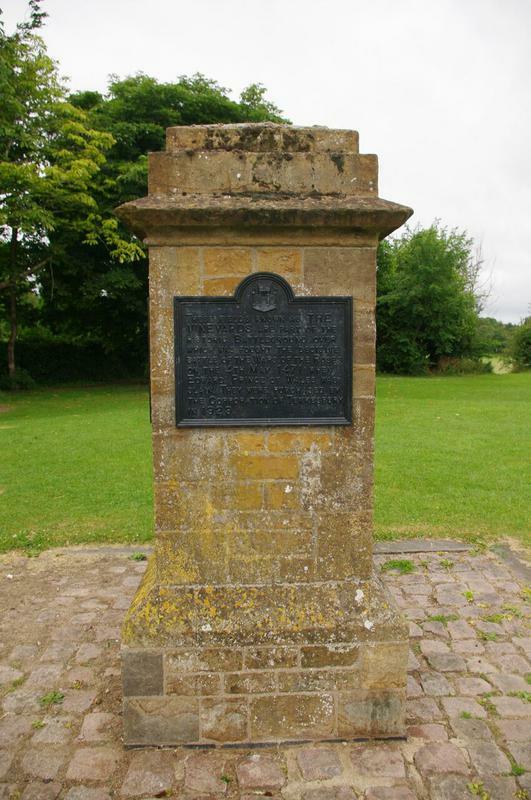 Square pillar on stepped base with at least two nowy headed plaques, with heraldic device at head, attached. 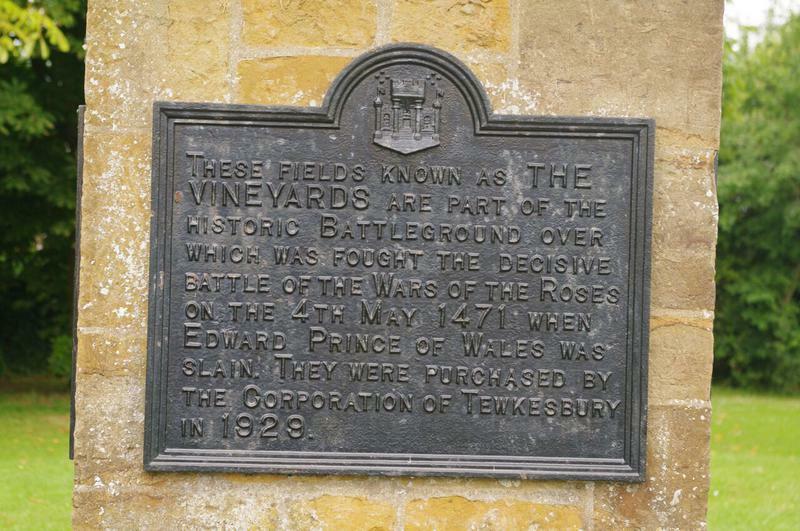 THESE FIELDS KNOWN AS THE/ VINEYARDS ARE PART OF THE/ HISTORIC BATTLEGROUND OVER/ WHICH WAS FOUGHT THE DECISIVE/ BATTLE OF THE WARS OF THE ROSES/ ON THE 4TH MAY 1471 WHEN/ EDWARD PRINCE OF WALES WAS/ SLAIN. 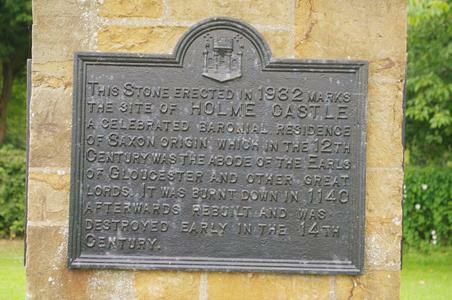 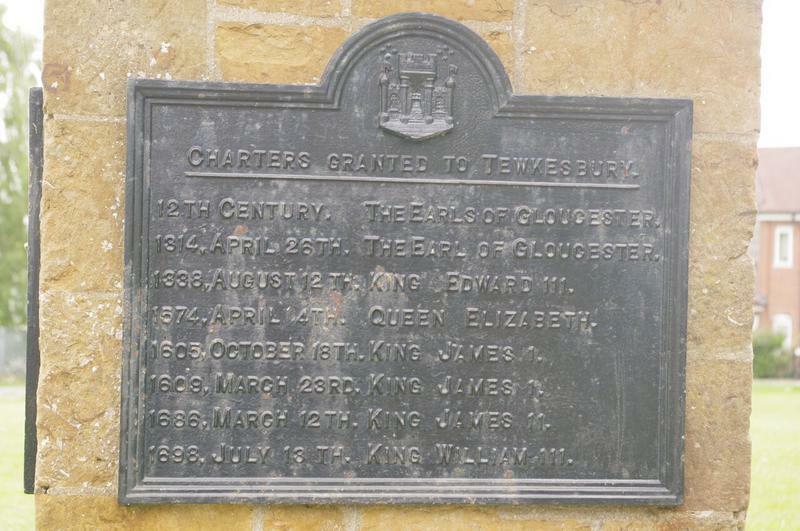 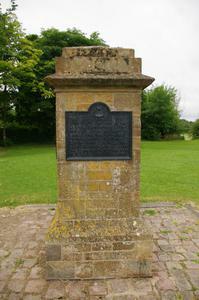 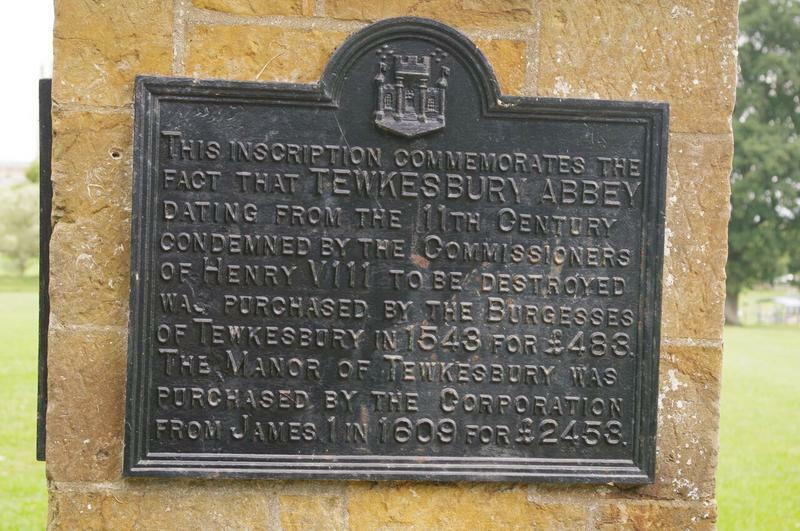 THEY WERE PURCHASED BY/ THE CORPORATION OF TEWKESBURY/ IN 1929.